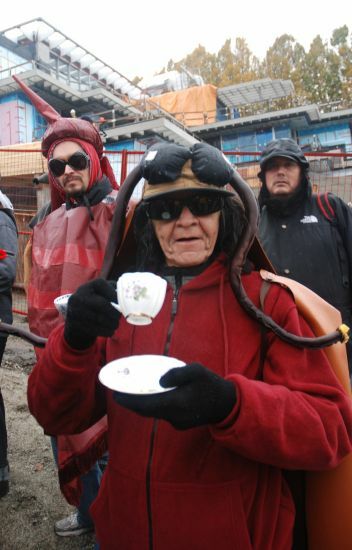 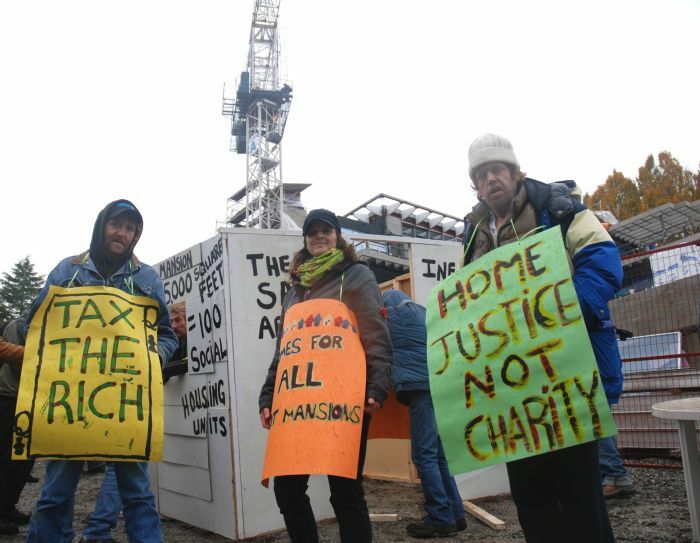 PT GREY - Housing advocates from Vancouver's Downtown Eastside headed West today. 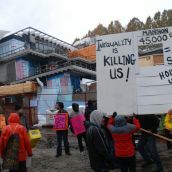 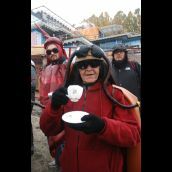 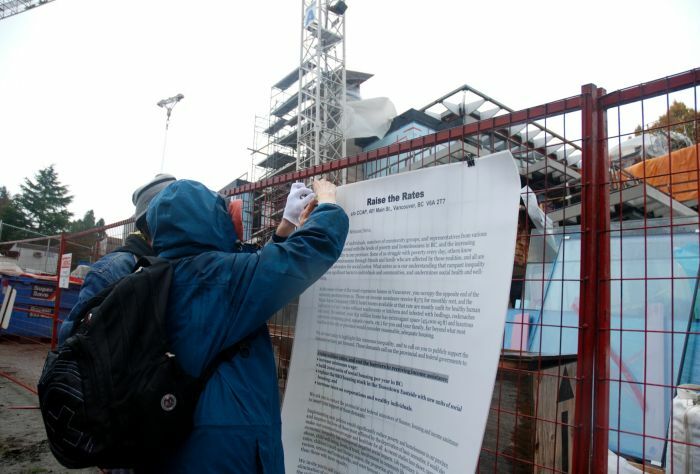 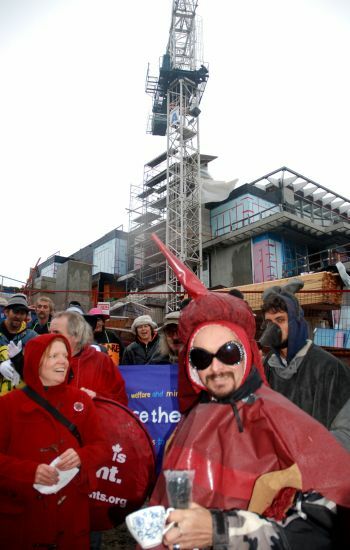 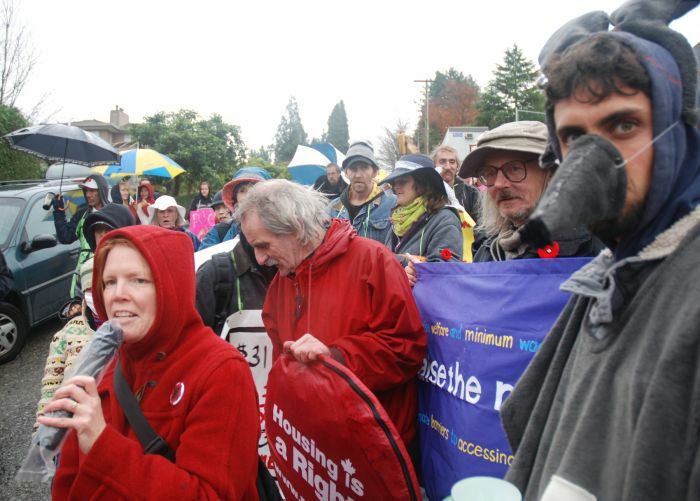 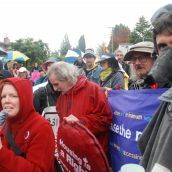 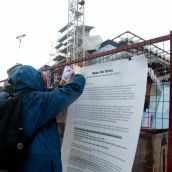 More than 40 activists took their call for social housing to the site of a $31-million “single family house” being built for a family of four in wealthy West Pt Grey. 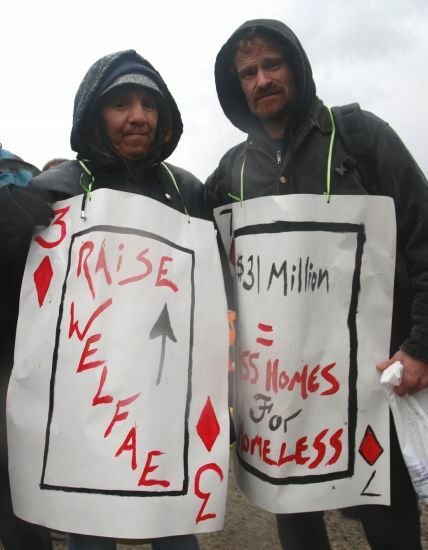 The action was organized by Raise the Rates, a coalition of 25 community groups, and focused on inequality. 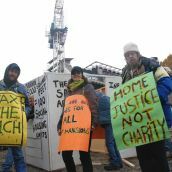 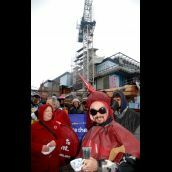 The protesters called on the owner of the property to support raising welfare rates, increasing the minimum wage, building more social housing and cutting tax breaks to the rich. 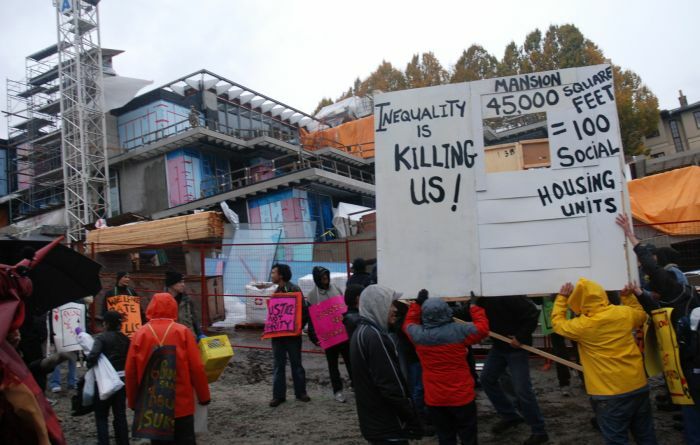 I cannot afford to live anywhere near Downtown Vancouver, though I work there. 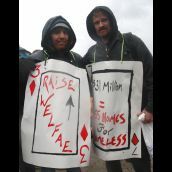 I pay a mortgage and work 2 jobs to make ends meet. 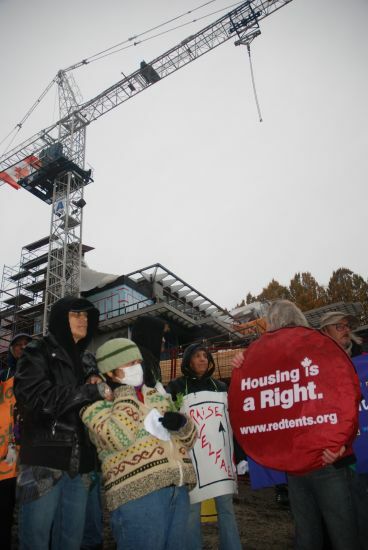 Can't the government build social housing in the suburbs or in smaller communities. 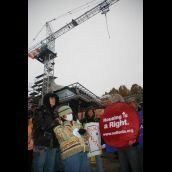 Why should people without jobs be able to live in a much more convenient location for us who commute everyday to WORK?